What's the difference between a blog you love and a blog that inspires you? 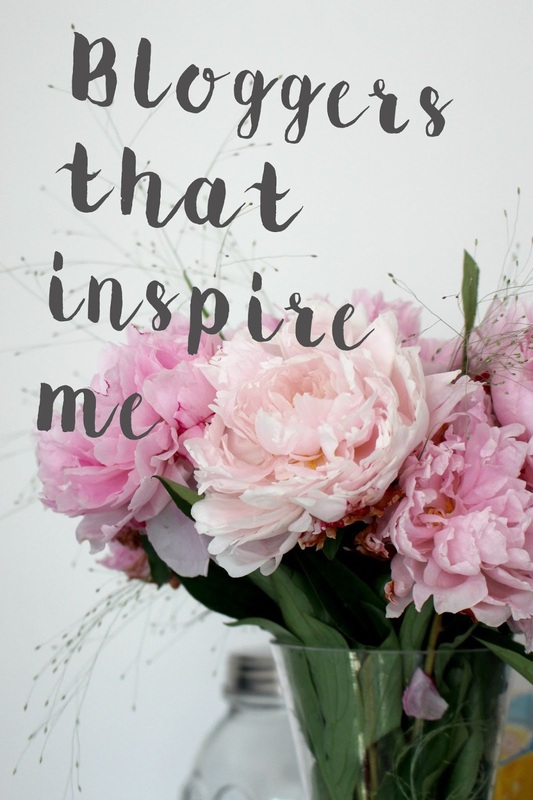 I could easily write a list of 50 blogs you should read, there's plenty of bloggers I find amazing and blogs I enjoy, but there's only a selection of blogs I find truly inspiring. To me at least, inspirational blogs are the ones I go to when I'm struggling for ideas, I can't quite choose how to take a photo or I simply can't word a sentence. These blogs are the ones that inspire me to blog just by existing. The reason I'm writing this post is because I went straight to her blog for some refreshing ideas yet instead of taking inspiration I thought about writing this post instead. Corrie seemingly writes about everything, she has witty posts full of GIFS, fantastic product reviews, great YouTube videos and even some great fashion tips, a real all rounder with a bubbly personality to match. Lily is a blogger I admire along with I presume, many others. There's a bit of everything on her blog making it perfect for post ideas, but I also love how she writes with, sometimes it's nice to just read through well written posts before attempting to write your own. I kind of believe Lily and Vivianna come as a pair, they're best friends and their blogs are very sisterly. Just like Lily's I go to her blog for post inspiration, I also love some of her post titles. I'm pretty sure Kate's been mentioned a billion amount of times on my blog but her blog is admirable, even more so since she's rebranded. I don't get too much post inspiration as she focuses a lot on beauty, I mainly look to Kate for photography inspiration because all of her photos are perfect. I wasn't going to add Zoe to this list but she has inspired me a lot since she's started blogging again. Her posts are well presented and easy to read so it's easy to gain ideas of how to write my content. There's food, beauty, fashion and so much more it's easy to get some inspiration for new post ideas. My favourite YouTube account is run by this lovely blogger and her husband so of course I love the blog too. It's very well written and each post is accompanied by fantastic photographs, I really use her blog posts to compare to mine in a good way of course. My favourite blog for fashion with plenty of beauty and lifestyle posts too, Helen has always been one of my favourite bloggers since my eyes laid on her blog and is definitely a staple inspiration for me. Whenever I need inspiration for fashion posts whether it's what to take close ups of or how to list the products, her blog is my go to because Helen does it so well. If you haven't read any of these blogs before I definitely recommend you giving them a visit, maybe they can inspire you too?